This was something I wrote for Salt Awareness Week (10-16 March 2014). Updated 7th August 2014, following reports on the high salt content of cheese. Adults should eat no more than 6g of salt a day (about a teaspoon). The current average salt intake however is just over 8g, and many are eating more than this, primarily a result of the amount of hidden salt we eat in processed, convenience foods. Babies and children under 11 should have less salt than adults. 2. Where in the diet is most salt found? Even if you do not cook with salt or add it to food at the table, you can still exceed the 6g limit without knowing it. 3. Salt or Sodium? Does it matter? Many food labels state the salt or sodium content – these are NOT the same. 1g of sodium = 2.5g salt. We easily become confused and underestimated the salt content of food when only information about sodium was provided. We used to have to do the math in our head whilst shopping to work out the salt content. For example, if tomato soup contains 0.3 Sodium / 100g, then half a tin (200g) actually contains 0.6 g Sodium, or 1.5g salt. The good news is that as of December 2014 all food labels now only list salt; sodium will not be listed. 4. What are considered high salt foods? Meats such as bacon, sausages, smoked ham or fish and salami. Snacks such as crisps, pretzels, salted & dry roasted nuts, popcorn, olives and pickles. Condiments such as soy sauce, stock cubes or gravy mixes, tomato ketchup and mayonnaise are very high in salt. Other foods include cheese, Marmite, pizza, ready meals and bread products such as crumpets, bagels and ciabatta. Low salt foods contain 0.3g salt or less per 100g. We should be looking to consume more low salt products on an everyday basis and having high salt foods only occasionally. Look out for the green traffic light food labels on the front of packs. 5. How can too much salt affect your health? Excessive salt intake can raise high blood pressure and can have serious effects on the heart. If you have high blood pressure, you are much more likely to develop heart disease or have a stroke because of the extra strain it puts on the heart and blood vessels. The World Health Organisation in (2012) stated we should be consuming less than 5g salt /day to limit the harm caused to health by excess salt. In response to this, the Government launched a revised salt reduction strategy in 2013 that aims to help people cut their daily salt intake. This is more important than ever as it was reported that more than half the public (53%) rarely or never consider the amount of salt when buying food. 1) The National Institute for Health and Care Excellence (NICE) has since suggested reducing the adult maximum intake to 3g/day by 2025. Adults are also not the only ones at risk; more recently we are seeing high blood pressure in children as a reflection of the diet they are having (and little physical activity too). Most likely this is because children are eating the same foods as their parents. Eating ‘every day’ foods like cereal and a slice of buttered toast for breakfast, soup and a sandwich for lunch would easily take you over the 6g limit! You can see that a typical breakfast of cereal with a slice of toast and butter provides 1.5g salt. Add a microwave meal or a takeaway burger and you are way over the limit. 6. How can I reduce my salt intake? Limit the amount of cheese you have and go for lower salt varieties – this section has been added to the original blog post in August 2014). We have always known cheese contains salt – it is essential in the manufacturing process but I am sure the cheese purists will be pretty cheesed off with the findings of a new study (sorry about the puns ;-)). ‘Blessed are the cheese makers’ as they say but this new research, published in the British Medical Journal (you can read the original paper here) compared the salt content of over 600 cheeses in 2012) and the findings weren’t pretty. We need to be aware how much salt is in some cheese. This table (published by CASH in their press release on the 6th August) shows that some cheeses are saltier than sea water! Table used with kind permission from CASH. 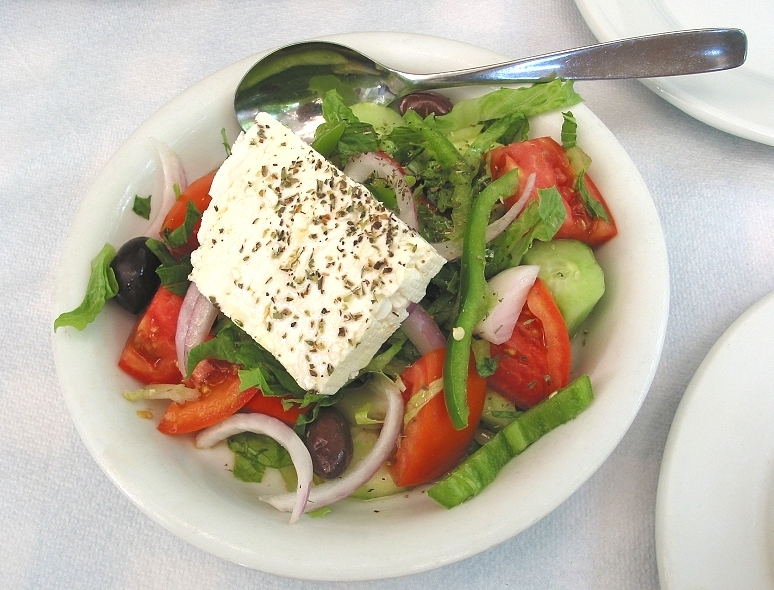 Watch the amount of feta in your Greek Salad! Halloumi, imported blue cheese and feta contain the highest amounts of salt. I am just thinking about all the tasty salads we might be eating during the summer months with these cheeses in…………mozzarella, cream and cottage cheeses however contain much less salt. Cheddar, one of the UK’S most popular cheese sits in the top half of the table. 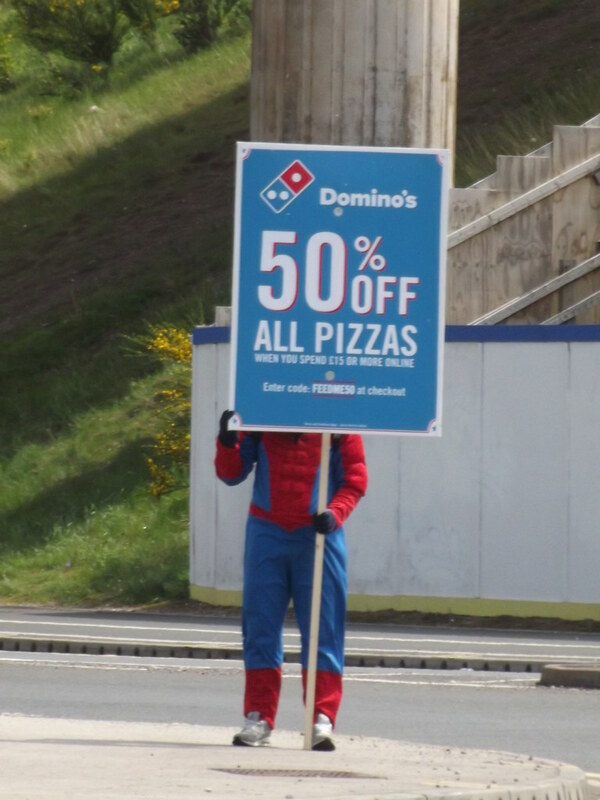 I am not saying never eat cheese again, this is about that word ‘moderation’ again. Cheese should be seen as a treat, not an everyday food (it is also high in fat), so eat it and enjoy but have it more sparingly than you might usually. These ‘cheese’ strings look pretty revolting to me anyway! It’s also important to think about the cheese that children eat. 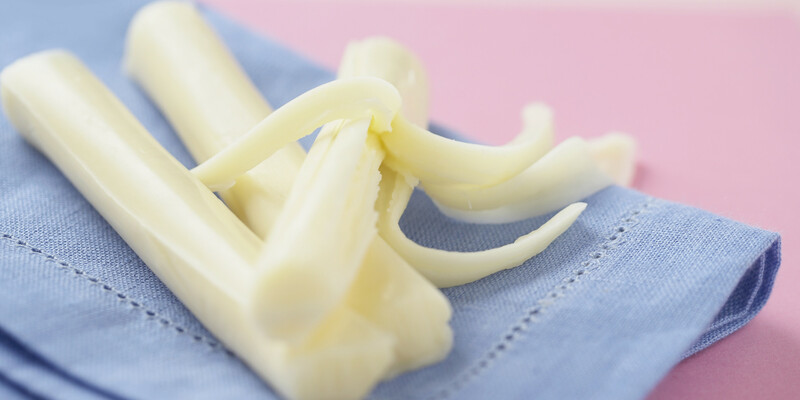 The cheese strings, triangles and spreads are all marketed as ‘healthy’ and focus on them being rich sources of Calcium needed for growing bodies. Fair enough, cheese does contain a good amount of Calcium but children should only have small amounts of salt. These products contain just as much salt as standard cheddar cheese and a 20g cheese string portion contains nearly half a gram of salt. These cheeses should only be given to children occasionally. You do not need to rely on cheese to get Calcium, choose milk, yoghurts, fortified breakfast cereals (low sugar please! ), eggs, vegetables, fish and meat. When it comes to cheese making, as I mentioned earlier, some salt is needed but the fact is this study argues it can be made with less. The research showed that branded cheese was worse in terms of salt content when compared to the same type of cheese of the supermarkets own brand. So have a quick look when buying cheese, perhaps you will save a few pennies too by choosing non-branded cheese! 7. What are the benefits of reducing salt intake? Reducing salt intake lowers blood pressure in just 4 weeks, which in turn reduces the risk of high blood pressure and stroke. 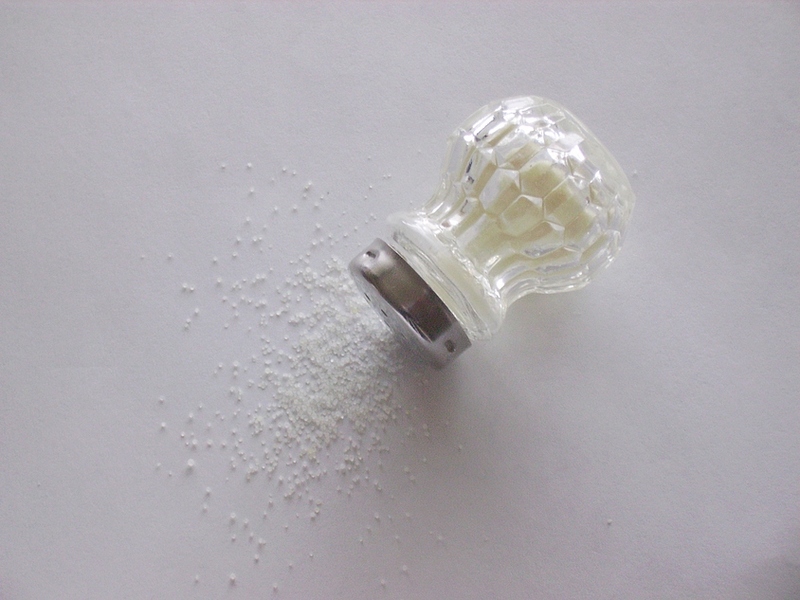 Reducing salt intake by just a pinch (1g) – would save 4,147 preventable deaths and £288m to the NHS every year.